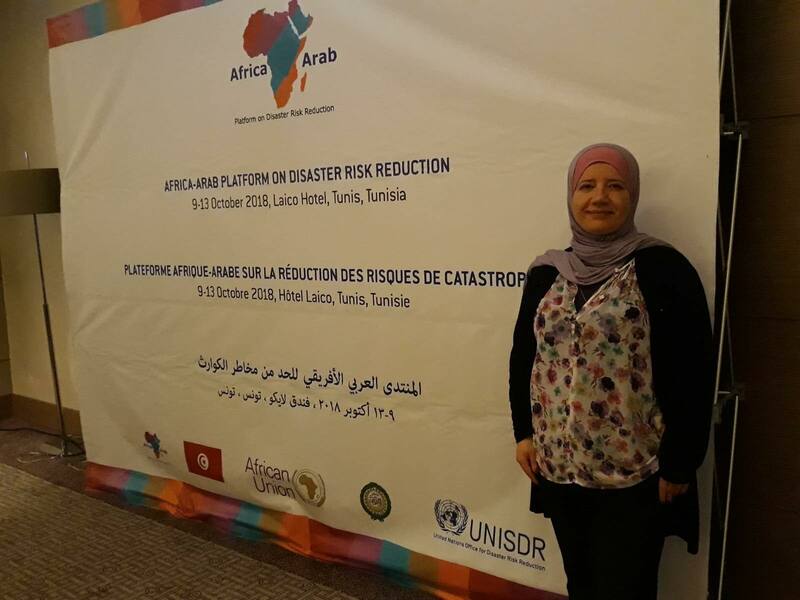 Nablus Municipality participates in the Arab-African Forum for Disaster Risk Reduction. 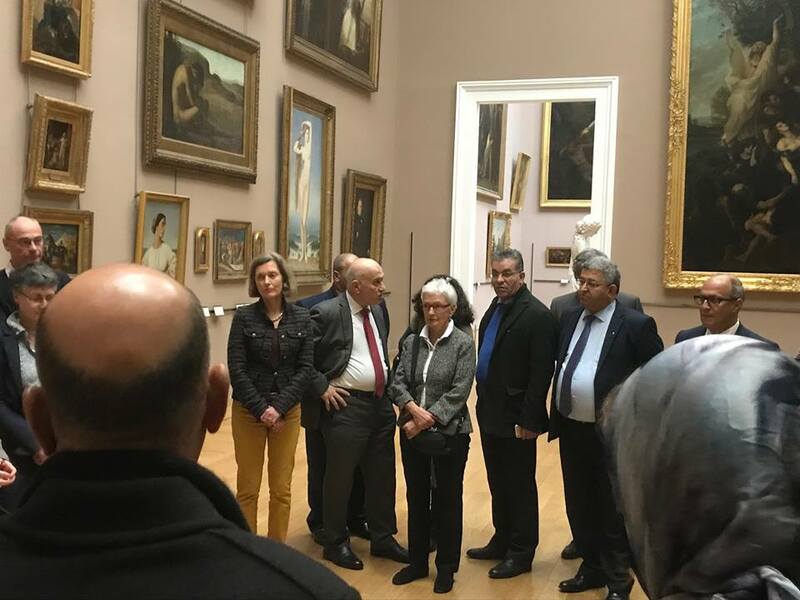 Nablus Municipality participated in the twinning conference in Lille, France. 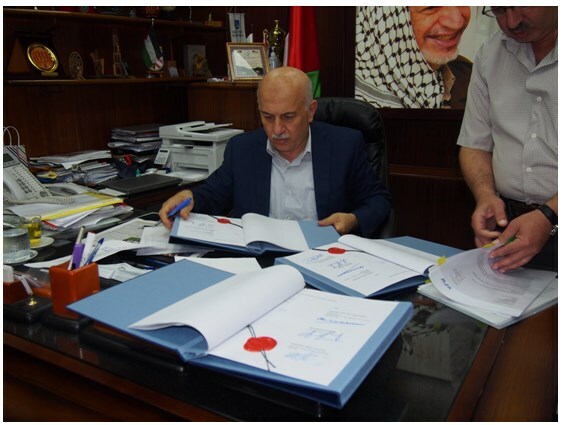 Click to browse the list of Nablus Municipality accomplished and ongoing projects. total population of 192,103 inhabitants in the urban areas, 122,474 inhabitants in the rural areas, and 33,446 inhabitants in the refugee camps (Askar, Balata, and Ein Beit El-Maa’).24The total size of Nablus District land area is approximately 605 km , while the size of Nablus city land area is 29 km2 only. As for the total built area, it is about 8.7 km 2 represents 30% of overall land size of the city. 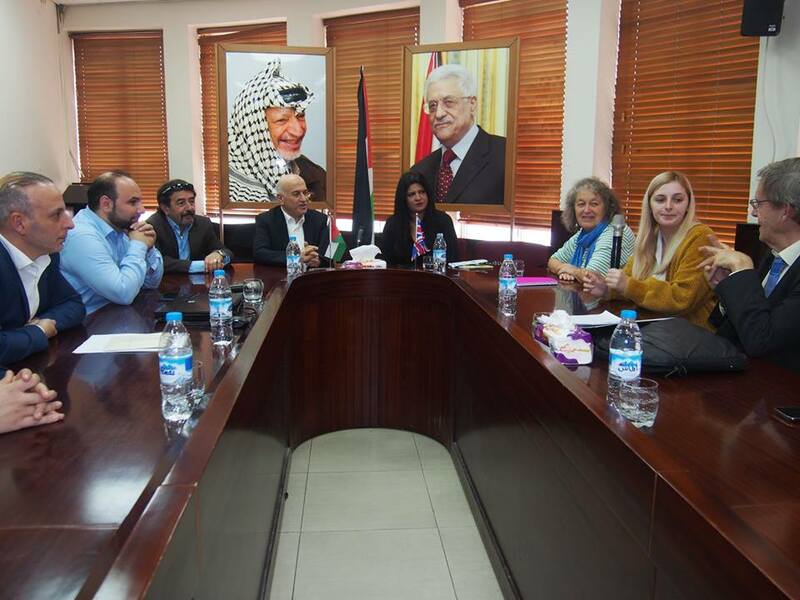 Located within the Mediterranean region, Nablus enjoys a moderate climate with average maximum temperature reaches 13.1 centigrade during the coldest month (January), while the minimum temperature reads 6.2 centigrade. As for the month of August, the average maximum temperature reaches 29,4 centigrade, while the minimum reaches 19,5 centigrade. North west is the dominant wind with average speed of 10 km/hr, while humidity average reaches 61%. Many researches, historical and religious resources referred to Nablus or (Shekem) as an important holy place, due to its contribution in a number of important historical events, such as the story of Jesus Christ with the Samaritan women at Jacob’s Well. This is a true evidence that the city enjoys a prominent and important status at both religious and historical levels. Accordingly, such status of Nablus manifested itself in its social network and the reality of life where three religions’ followers; Moslems, Christians, and Samaritans, are peacefully co-existing, living in cohesion since hundreds of years, demonstrating a very unique case that rarely exists elsewhere. The three religions’ followers are very aware and sensitive to their responsibilities towards their city, working homogeneously for the cause of different issues of concern to their city and local citizens.